Each year up to twenty rising juniors are given the opportunity to participate in a two year course of study designed to prepare them for graduate school and to pursue a career in college or university teaching. Faculty select and sponsor the participants on the basis of academic achievement, intellectual promise, and a willingness to explore college teaching as career. 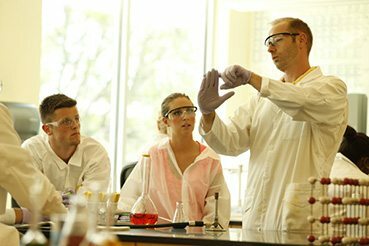 The program involves special coursework, summer research in collaboration with a faculty sponsor, a major project during the senior year, and supervised teaching experience. 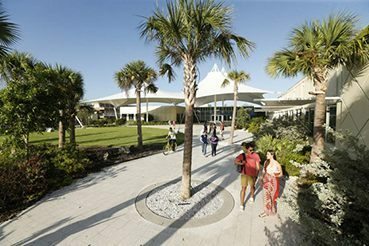 The Ford Apprentice Scholars Program in Eckerd College was launched by a grant from the Ford Foundation in 1987, sustained by a second Ford grant in 1991 and is now supported by the College. Read the scholarly work of our 2018 student authors in The Eckerd Scholar. In 1986 the Ford Foundation launched a funding initiative to encourage the development of programs designed to encourage more academically outstanding undergraduates to consider careers as college and university professors. A second goal of the initiative was to foster a renewed sense of commitment to the academic profession by current faculty members. Based on a survey to identify college and universities that had produced a significant percentage of bachelor degree alumni who went on to graduate school and completed a Ph.D., the Foundation invited 39 institutions to apply for grants to establish programs designed to encourage more of their best and brightest undergraduates to consider the academic profession. The list included many of the nation’s leading universities, including all the members of the Ivy League, the University of Chicago, and Stanford. Among the 39 was Eckerd. A team of faculty chaired by the Dean of Faculty designed a program and submitted a proposal which along with Princeton and Brooklyn College, was one of the first three institutions to be approved for funding: $250,000 over three years. In 1991, 16 institutions among the original 39 were invited to apply for additional funding. Eckerd was among these and received an additional $200,000. Eckerd’s program was launched in the fall of 1986 with the selection of 20 rising Juniors as Ford Apprentice Scholars to enroll in a specially designed two semester course in the History of Ideas, the first step in a two year sequence of study culminating in a major research project under the supervision of a faculty sponsor. The first class of Ford Scholars graduated in May, 1989. The essential elements of the program are a two semester course in the History of Ideas in the Junior year concluding with a symposium at which the Apprentice Scholars make public presentations; a summer research project in close collaboration with their faculty sponsor; a major research project as a Senior; publication of an article based on this research in the Eckerd Scholar; and a year-long weekly seminar during the Senior year in which they share progress reports on their research, hear from individual faculty members on life as a professor, and discuss major issues having to do with contemporary higher education. The Ford Apprentice Scholar program continues to flourish. Graduates have gone on to the nation’s best graduate programs and many are now members of college and university faculties. Faculty members look forward to working as sponsors with the highly motivated and talented students who are selected for the program. The original goals of the Ford Foundation initiative have been more than fulfilled by Eckerd Apprentice Scholar Program. 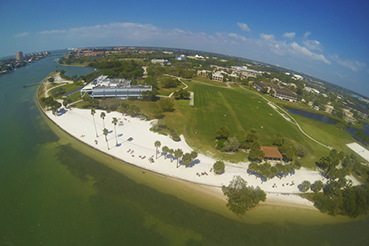 The Junior Ford Scholars sponsor an annual forum for the Eckerd community. Topics focus on major issues in their disciplines and in higher education. Stimulant Usage in Higher Education: A College Student’s Friend or Fiend?